LUCENA CITY – The Communist Party of the Philippines (CPP) will order its armed wing, the New People’s Army rebels to rest their guns in observance of the traditional Christmas ceasefire, according to CPP founder Jose Maria “Joma” Sison. 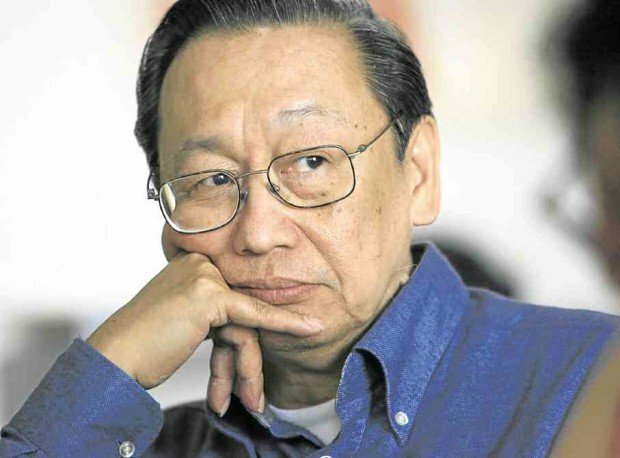 “I think that there will be a unilateral ceasefire order from the CPP and NPA to honor the people in connection with the traditional holidays,” Sison said in a Facebook message to the Inquirer Thursday night. He said the forthcoming truce order will also be issued to celebrate the CPP’s 4th founding anniversary on Dec. 26. Sison said the ceasefire order has been recommended by the National Democratic Front of the Philippines (NDFP). “The draft is already being processed by the Central Committee of the CPP,” Sison added. President Rodrigo Duterte announced a “unilateral ceasefire” against threat groups, including the NPA rebels from December 24, 2017 to January 2, 2018 as he wanted a stress-free Christmas for the Filipinos. On Thursday, the Department of National Defense deviated from the ceasefire schedule of Mr. Duterte and announced the truce period from 6 p.m. Dec. 23 to 6 p.m. Dec. 26; and 6 p.m. Dec. 30 to 6 p.m. Jan. 2. Sison had earlier called Duterte’s declaration of holiday ceasefire as a “sham” and “deceitful gimmick”. But the government unilateral ceasefire, despite its declaration of the CPP-NPA as terrorist organizations and stepped up counter-insurgency operations, may have moved the communist rebels to reassess the situation. In an earlier interview on Dec. 19, Sison said it would be “unwise and illogical” for the CPP to order the NPA to cease fire. “Duterte and his military officers are urging their troops to attack the people´s army and the communities where it is suspected to be,” Sison said. But Sison stressed that the final decision to declare Christmas ceasefire still rest with the CPP. Ironically, after the ceasefire period, both sides accused each other of violating their ceasefire declarations.